The family of a patient sexually assaulted at a Valley healthcare facility is giving more insight into her condition. 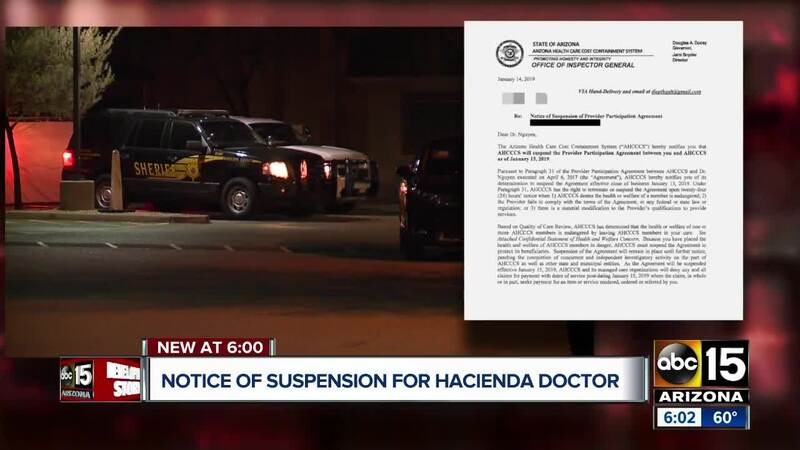 The State of Arizona's Healthcare Cost System (AHCCCS) released one of the doctor's Notice of Suspension Tuesday afternoon. The document states, Dr. Thanh Nguyen was suspended because they believe one or more patients would be endangered if left in Nguyen's care. The Notice also states the doctor failed to comply with federal or state laws or regulations. Officials say the suspension will remain in place until further investigation.